It’s a surprising fact that one-fifth of the world’s richest people come from the tech background. Although some of them had a very basic and moderate start, after making their fortunes in the tech industry, they are seen splurging in the real estate. For example, Amazon founder Jeff Bezos and Microsoft’s Bill Gates live less than a mile from each other in the waterfront city of Medina, Washington, and own two of the country’s most expensive estates. Los Angeles is also another popular spot for tech moguls and many big names own a fancy space in the city. 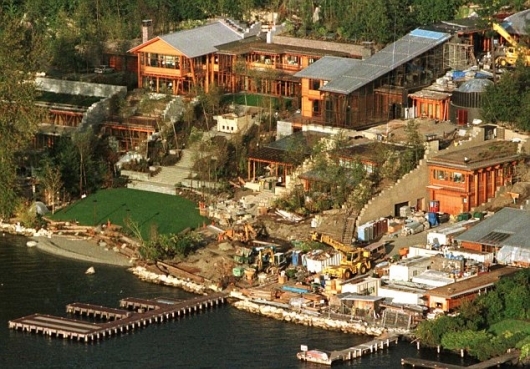 Just outside of Seattle is the waterfront mansion of Jeff Bezos, the founder, and CEO of Amazon. In the front, there’s not much to see, with the gate and tall hedges blocking the view. Bezos paid $10 million for the estate in 1998, which spans 5.3 acres and includes a 20,000-square-foot house, plus a second 8,300-square-foot dwelling. The property then underwent a $28 million renovation in 2010, around which time Bezos bought the 24,000-square-foot house next door, which was rumored to have sold for at least $53 million. The Amazon leader’s estate is a big change from where he started the company: in the garage of his home in the Bellevue neighborhood near Seattle, Washington, seen here in 2013. But Bezos’ Medina home is not the only property he owns, because, well, he is the richest man in the world. Bezos also owns properties in Beverly Hills, California; a ranch in Van Horn, Texas; a former textile museum in Washington, DC; and three condos in a historic Manhattan building overlooking Central Park. 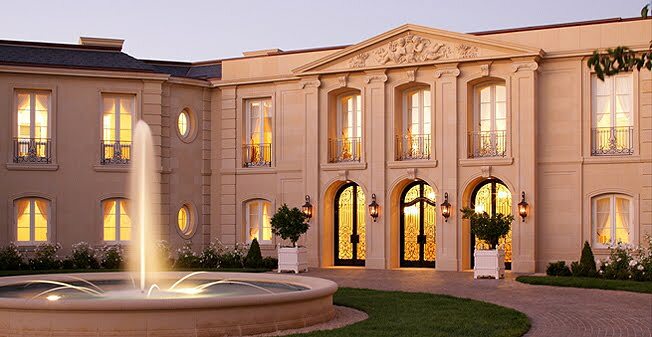 This is Bezos’s Spanish-style mansion in Beverly Hills, which he bought in 2007 for $24.45 million. The seven-bedroom, seven-bathroom home is advertised by Dream Homes Magazine as having a greenhouse, a sunken and lighted tennis court, a huge swimming pool, four fountains, and a six-car garage. But he didn’t stop there: Bezos bought a smaller house just next door 10 years later. The 66,000-square-foot house is brimming with state-of-the-art technology and has seven bedrooms and 18.75 bathrooms. Gates purchased the lot for $2 million in 1988. The Gates house has a 23-car garage, six kitchens, 24 bathrooms, and a reception hall that can accommodate 200 guests. The home also comes equipped with an in-house theater, trampoline room, library, and a 60-foot pool with its own underwater music system. Charles Simonyi also lives in Medina and on Lake Washington’s waterfront. Simonyi is the former head of Microsoft’s application software and oversaw the creation of the Office suite. His house known as Villa Simonyi, or the “Windows 2000 House,” because it has 2,000 windows. Former Microsoft CEO Steve Ballmer, who owns the Los Angeles Clippers, lives in Hunts Point, just up the road from Medina. Ballmer’s relatively modest house has four bedrooms and is located on two acres. The modest 3,734-square-foot house, which has unobstructed views of the Golden Gate Bridge, is located on El Camino Del Mar in the exclusive Seacliff neighborhood of San Francisco. It has two bedrooms and two bathrooms and is estimated at $12 million. Apple CEO Tim Cook lives rather modestly. 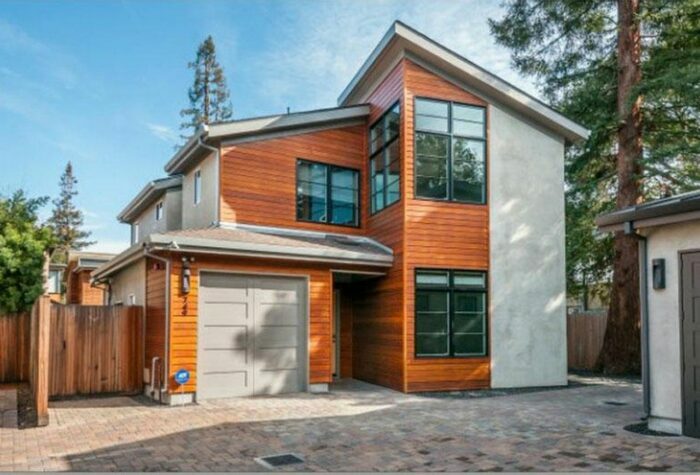 He bought this 2,400-square-foot Palo Alto home in 2010 for less than $2 million. Evan Spiegel and Miranda Kerr bought their 7,164-square-foot home in Brentwood, California, for $12 million in 2016. The home has city views, a pool, pool house, home gym, and guest house. It also has seven bedrooms and eight bathrooms. The kitchen is full of white marble. The 28-year-old billionaire and 35-year-old Australian model hosted an estimated 50 people for their wedding ceremony and reception in May 2017 at the home. They also welcomed a son eight months ago. Larry Page, the co-founder of Google and CEO of Alphabet, bought a $7.2 million home in Old Palo Alto in 2005. The home, which is listed on the National Register of Historic Places, was built from 1931 to 1941 for Bay Area artist Pedro de Lemos. At 9,000 square feet, the two-story home was built in the Spanish Colonial Revival style. It’s constructed of stucco and tile around a courtyard. Parts of the home were salvaged from a chapel that was partially destroyed during the 1906 San Francisco earthquake. The 6,000-square-foot home has a roof garden with solar panels and four bedrooms. Sometimes, Page’s billionaire buddy Elon Musk, who doesn’t own property in Silicon Valley, reportedly sleeps over. Facebook founder Mark Zuckerberg reportedly bought his 5,617-square-foot home in Palo Alto, California, for $7 million in 2011. The home has some awesome features, too: heated floors, a deep-soak tub, and a kitchen with a breakfast bar. It also has a pool and a pond. Zuckerberg frequently posts photos of himself and his family on the porch on Instagram. Zuckerberg also purchased a 750-acre property on the North Shore of the Hawaiian island of Kauai, which includes 2,500 feet of white-sand beach. Tesla founder Elon Musk paid $17 million for his house situated on a hilltop 1.66-acre plot in the ritzy Bel Air enclave of Los Angeles. 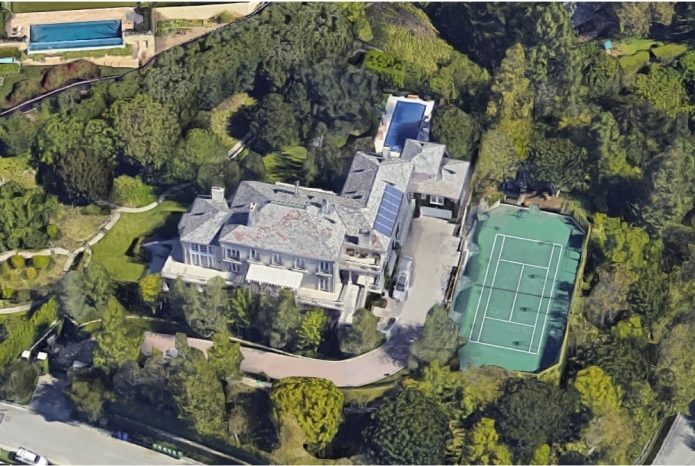 The home overlooks the exclusive Bel Air Country Club and has 20,248 square feet of space divided into different wings. It has seven bedrooms, nine bathrooms, a giant screening room, a home gym, a pool, and a tennis court. The yard is fairly sprawling, and Musk and his five sons had reportedly lived in the house for three years before he bought it. Musk also bought a ranch home located across the street from the mansion for nearly $7 million in 2013. You can see inside Musk’s Bel Air estate here. Oracle founder Larry Ellison, on the other hand, owns more homes than he could possibly live in. Since then, Ellison has purchased two airlines, refurbished the island’s hotels, and started investing in clean energy sources. He plans to use the island as an experiment for environmentally sound practices. Though the final price has not been disclosed, the Maui News put the asking price at $500 to $600 million, making it arguably one of the most expensive private islands in the world. Micheal Dell, the founder of Dell Technologies, spends his vacations at the “Raptor Residence” on the Big Island. The 18,500-square-foot, seven-bedroom home in Hawaii was last valued at $62 million and is located in the private community of Kukio. By comparison, the Dell family home, located outside of Austin looks more like a compound than the rest of the abodes of his billionaire buddies. The Dell family’s 33,000-square-foot home outside of Austin is known by locals as “the Castle” because of its hilltop perch and heavy security presence. The house boasts eight bedrooms, 13 bathrooms, a tennis court, indoor and outdoor pools, and gorgeous views of Lake Austin. Dell also owns a wide variety of real estate in Hawaii, Mexico, and California thanks to his company MSD Capital, which invests in luxury hotels, commercial and multifamily properties, and land development. The company also it participates in other real-estate-development funds. Marc Andreessen, the venture capitalist and inventor of the Netscape web browser, resides in a three-bedroom, four-bath California home that’s valued at $24 million. Andreessen’s home is located in the Silicon Valley suburb of Atherton, across the street from the Menlo Circus Club — a private social club that hosts horse shows, polo matches, and gala parties for the ultra-wealthy. Located in the city’s University South neighborhood, the five-bedroom house was meant to be a place to crash after late nights in the Yahoo office. Mayer owns several miniature balloon dog sculptures by Jeff Koons, which she keeps in her kitchen. Sergey Brin, the cofounder of Google, bought a 3,457-square-foot Greenwich Village condo in 2008 for $8.5 million. The home has 4 bedrooms, heated floors, and a sunlit living room. The home, which Brin bought with ex-wife Anne Wojcicki — CEO of 23andMe, the $1.5 billion personal genetics company — is also within walking distance of Google’s Chelsea office. The two-story, three-bedroom penthouse has a 1,200-square-foot wraparound terrace with views of lower Manhattan. The kitchen is outfitted with custom Moroccan tiles and top-of-the-line appliances. Brin also has a home in California’s Los Altos Hills at an undisclosed location. But if it’s anything like his $80 million, 73-meter yacht, dubbed the Dragonfly, we can assume it is pretty elaborate. Oracle CEO Mark Hurd’s 6,410-square-foot home in Atherton, California, sold for just over $7 million in 2005. The home has five bedrooms, 6.5 bathrooms, and was last valued at close to $8 million. 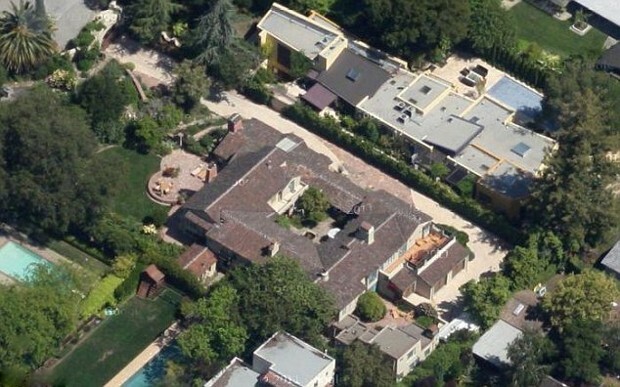 Sheryl Sandberg, Facebook’s COO, moved into this modern, 9,200-square-foot mansion in Menlo Park, California, in 2013. It features a living roof, solar panels, and a huge basement. 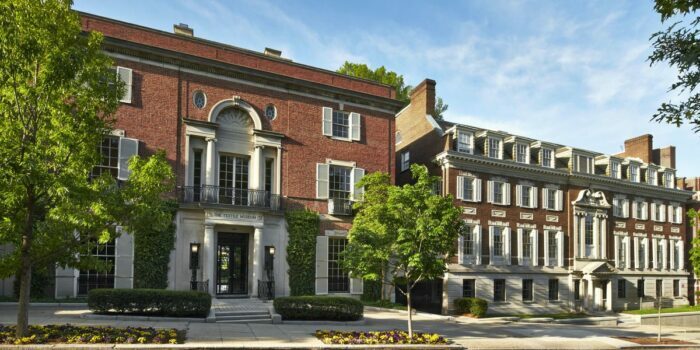 The Daily Mail reported the Sandberg’s home also has a basketball court, wine room, and home theatre. The house isn’t far from Facebook’s campus either — only a 20 minute drive. Sandberg sold her former Atherton home for $9 million in 2014. However, the Santa Clara County Assessor’s office declared Milner had overpaid, valuing the estate at $50.3 million. The 30,000-square-foot French chateau-style mansion sits on 11 acres in Los Altos Hills and has views of the San Francisco Bay. The home has five bedrooms and nine bathrooms, as well as a ballroom, home theater, wine cellar, and indoor pool. The estate has a large backyard area with a swimming pool, a tennis court, and lots of Spanish-inspired decor. Schmidt rented out the mansion to Kim Kardashian for her wedding to basketball player Kris Humphries in 2012. He also owns homes in Nantucket and Atherton, California. Travis Kalanick, cofounder and former CEO of Uber, is said to have bought a penthouse atop a Soho apartment building in New York City for just over $40 million. The Wall Street Journal reported in November 2018 that Kalanick was behind the purchase of the $40.5 million, nearly-7,000-square-foot property. The home has four bedrooms, 4.5 bathrooms, floor-to-ceiling windows, and a 20-foot private rooftop pool on the building’s terrace — not to mention killer city views.